SECRET OF SUCCESS? 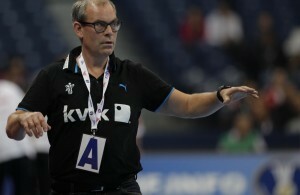 Call the Danish coach! VIDEO: Winning goal in front of 12.000 fans! WWCH 2013 – Brasil VS Hungary, Serbia against Norway! Serbian madness in front of 12.000 fans – Brasil, Hungary and Norway to TOP 8! WWCH 2O13: Denmark sent Montenegro home – Polish historical success! WWCH 2013: France and Germany at 1/4 finals!